Aga ranges are the heavyweights of the home cooking appliances. They come in a variety of styles and formats and may be powered by gas, electricity or solid fuel. They can also heat water for washing and central heating, though they seldom produce enough hot water to heat a whole house. Aktiebolaget Svenska GasAccumolator was a Swedish company and its chief engineer, the Physicist Gustaf Dalen, designed the principle of the stored-heat oven in 1922. 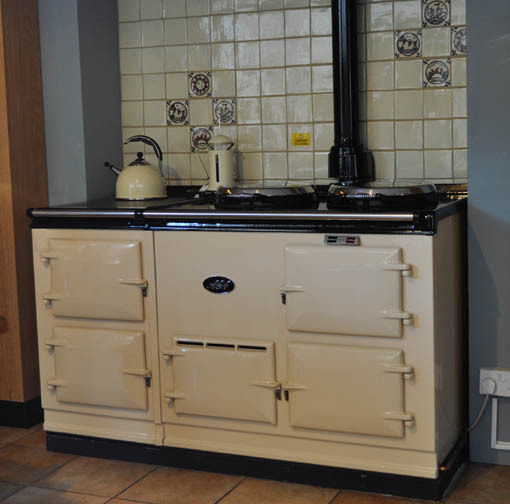 Most Aga's have two, three or four ovens. These work independently as roasting, simmering and baking ovens. When used correctly, AGA ovens are very efficient. They bake with a narrower temperature variation than fan electric ovens and maintain temperature very well. They also use more energy than other modern ovens, which can make them a little more expensive to run. The main advantage of these units is their construction. They can be expected to function as new for at least 50 years.